What to expect when Bridget is expecting is perhaps the greatest fear facing many fans of Helen Fielding's titular beloved singleton. But based on Bridget Jones' Baby which comes some 12 years after The Edge of Reason, there's every need to keep calm and carry on. In this broad but occasionally bloated crowd pleasing comedy, Renee Zellweger's Bridget Jones's back and negotiating life in her own inimitable fashion. The world may have changed plenty since we've seen her last - Hugh Grant's caddish Daniel Cleaver is disappeared, Darcy and Bridget have split - but, on her 43rd birthday, Bridget's solo and celebrating all by herself. However, that changes when work colleague Miranda (a scene stealing Sarah Solemani) takes her to a music festival to get laid. Stumbling drunkenly into the wrong tent and a sordid tryst, Bridge hooks up with dating guru and dishy Jack (played by ole McDreamy himself Patrick Dempsey). Running off after, she ends up having another unexpected dalliance with Colin Firth's starched Mr Darcy at a christening a few days later. Swathed in an affectionate nostalgic glow for the character and playing up the usual neuroses and tics that made Bridget so relatable to so many, Zellweger steps back into the role - and its clipped English tones - with ease. And even though it's not really much of a departure of a film from the usual choices of men that Bridget has to face as well as the predictable playing out of the klutzier edges and hitting a lull at about 80 mins in, the whole thing comes off as funny, warm and surprisingly familiar - and a potentially a saccharine riff on US and UK relations. By making both males seem normal, the script wisely steers away from making Bridget's choice obvious or one of them kooky and nicely muddies the waters by playing with viewers' affections - even if the gloop and sentiment kicks in toward the end in this time honoured riff on the old trope two women/ one man. Both Firth and Dempsey play their roles well, with Firth's humour coming off the more effective as he riffs on the social awkwardness that's always been at Darcy's core. Dempsey's a little blander, but still pleasant and helps sell the emotional quandary rather than over-egging it. In a year that has already seen some middling 90s revivals (from Ab Fab to David Brent), it's refreshing to report that Bridget's latest (and hopefully last, even if a final scene pan teases something else) is both nostalgic and a little forward-looking. 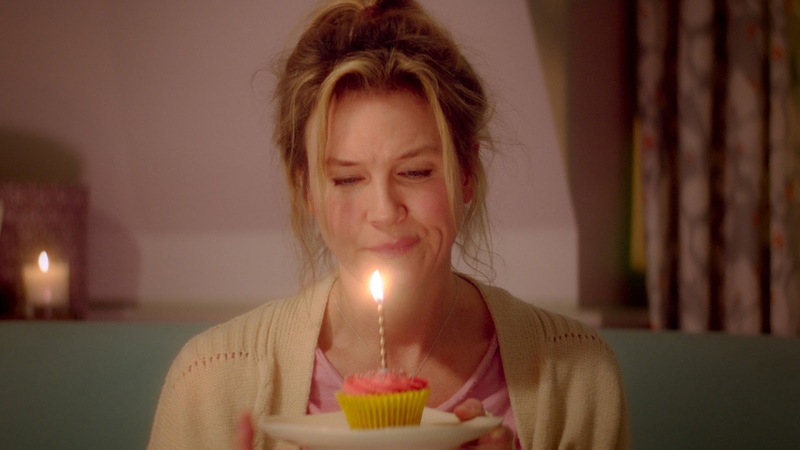 With its moments of honesty and its continuing depiction of one woman's messy life, Bridget Jones' Baby is no pregnant pause for the franchise. It's better than it could have been and consequently infinitely more enjoyable than you would have remotely expected. If you'll forgive the pun, this baby truly delivers in unexpected ways.